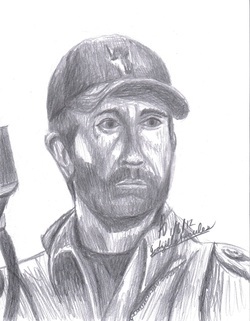 I tried again with a portrait of Chuck Norris. This portrait marks the start of myself using measurements. Because of this, my portrait came out much better than most of my previous works.